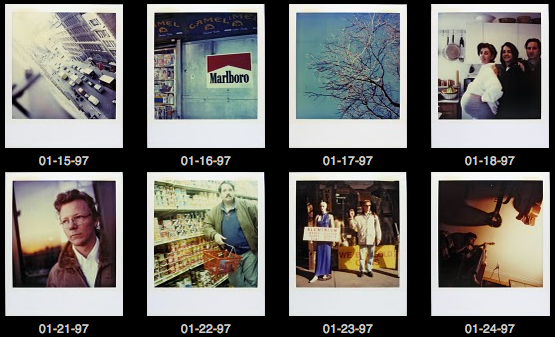 Jamie Livingston took a Polaroid everyday for nearly 20 years. 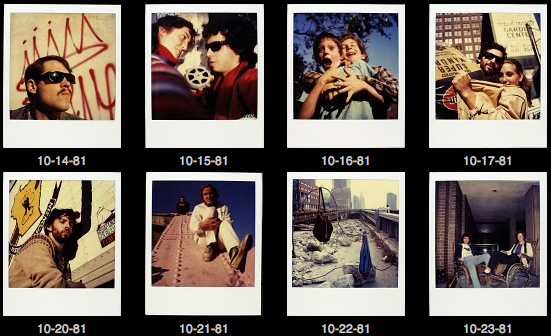 The images chart his life at Bard college in 1979 to travelling, uneventful days, world changing moments and eventually life changing moments. 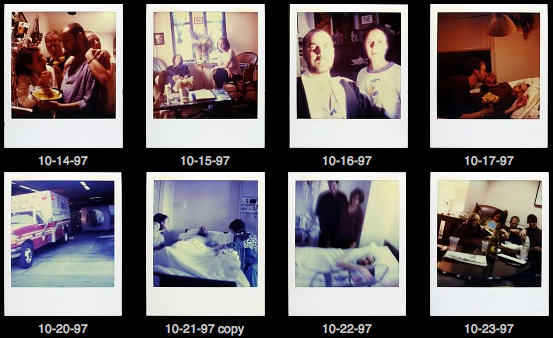 In October 1997 events take a twist and the photographer is seen in hospital. Shortly after the images end. 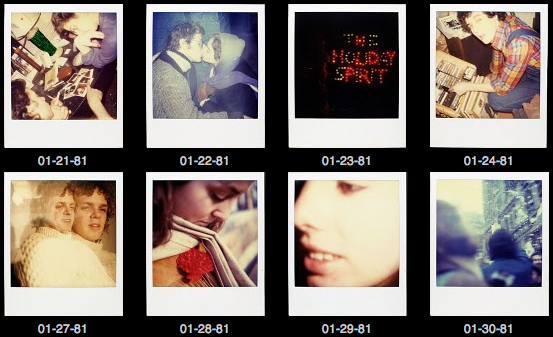 Each of the Polaroids documents a moment in time, that day is frozen within that small white box. 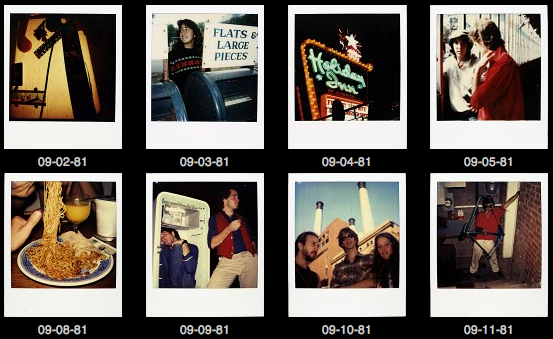 These images remain a record of Livingston's life. 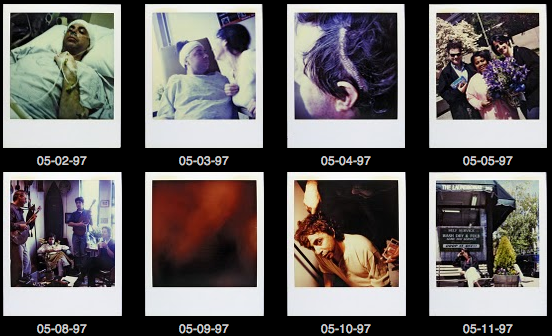 They document his friends, places he's visited, food he's eaten, happy days and sad days, the decline of his health, his marriage and finally his last stay in hospital. 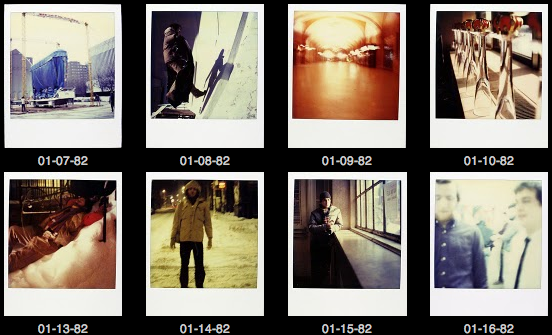 All the while in only one image a day. 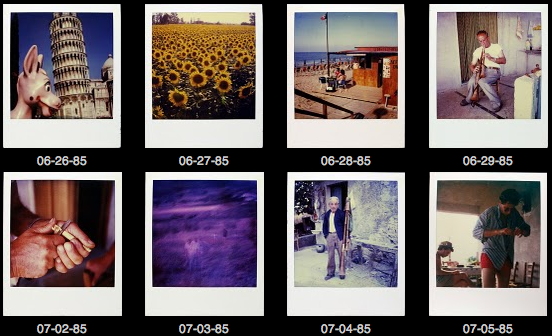 Johnny Dee writes on Guardian.co.uk about how he came across Jamie Livingston's Polaroids and into more detail from Livingston's friend Hugh Crawford. Images sourced from PhotooftheDay.HughCrawford.com.